I like to listen to podcasts on my iPod Touch on my walks. I also like to listen to music and to alternate between music and podcasts. On my previous podcast/listening solution (MortPlayer running on a Windows Mobile phone) you could alternate between two playlists, and the app would remember the track/position they left off and resume there when you returned to listening to that track. With the iPod, no such luck. When you return to a playlist on the iPod touch however, you must select the particular podcast track (though it does resume properly from the point you left off). You are given some guidance: the previously played podcast is marked with a small speaker symbol, but to resume that podcast, you must search for it and select it. A solution is smart playlists together with live updating. With these, you can cause an already-played podcast to disappear from the playlist. This assures that the interrupted podcast (the first one not completely played) is always at the top of the playlist so you can select it relatively easily. The solution is not perfect. Podcasts have been listened to drop off the playlist. You can’t then easily go back to relisten to a podcast once it has been deleted from the list. Note: An iTunes bug prevented the live updating feature from working properly in some older version of iTunes (I am using 10.0.0.68 on Windows with success). I’ve recently subscribed to Slacker for my music fix. Because running slacker does not modify my iPod playlist, perhaps I can eliminate the live updating feature, and just click on “now playing” to get back to my podcasts. I’ll have to try that. I just thought of a solution: Have a second smart playlist identical to the first, but with “Live updating” left unchecked. The playlist will then continue to contain all the podcasts, played or not. It will only be updated at “sync”. Therefore one has the option of selecting and listening to a podcast that has already been played. I’ll have to try that. Have a second smart playlist identical to the first, but with “Live updating” left unchecked. I tried this, but problems. The second playlist does not update when you sync the iPod touch. -Right click on the playlist name (Found in the Playlists Heading in the – right column on iTunes) and click on ” Edit Smart Playlist”. 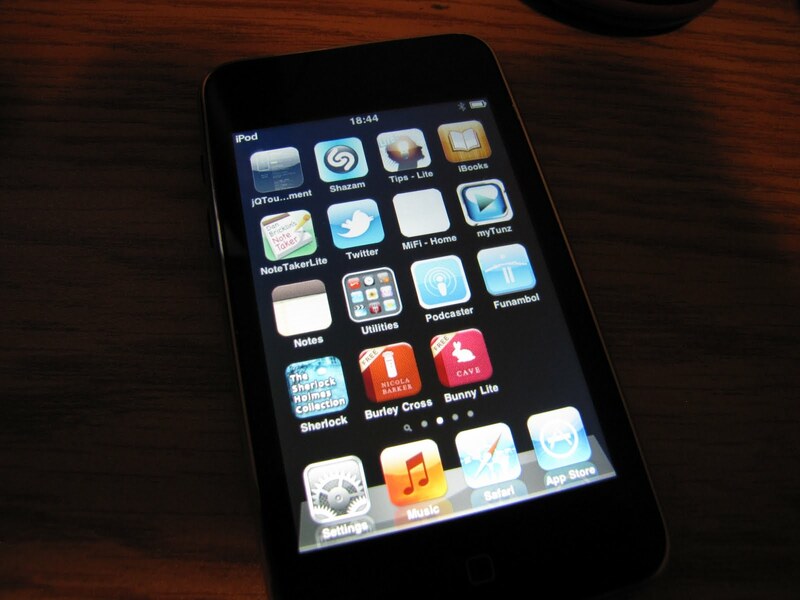 In the editing window that opens, press OK.
– Re-sync the iPod Touch. Painful, but it works (as long as I remember or am bothered to do it.